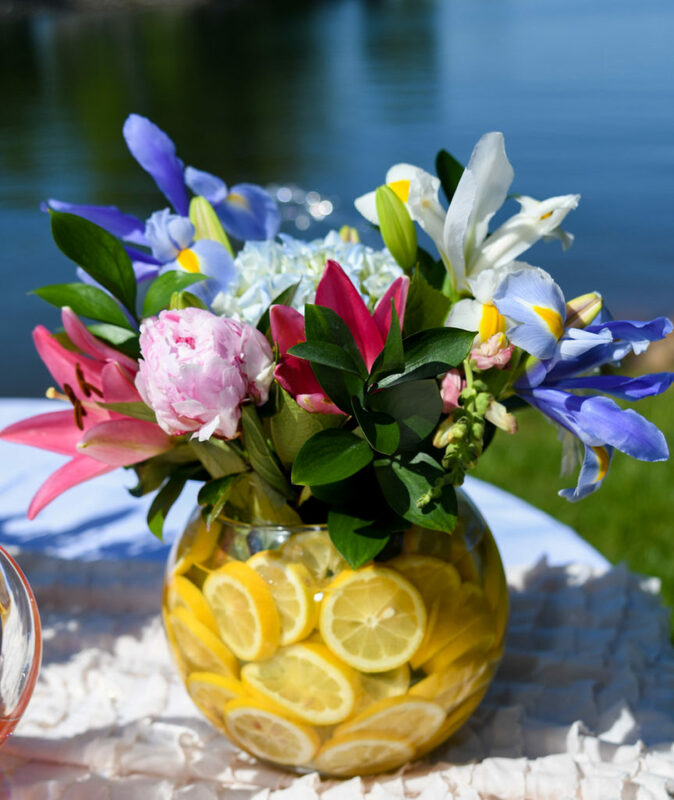 Next up in the Mother’s Day Brunch blog series are these gorgeous DIY floral centerpieces. 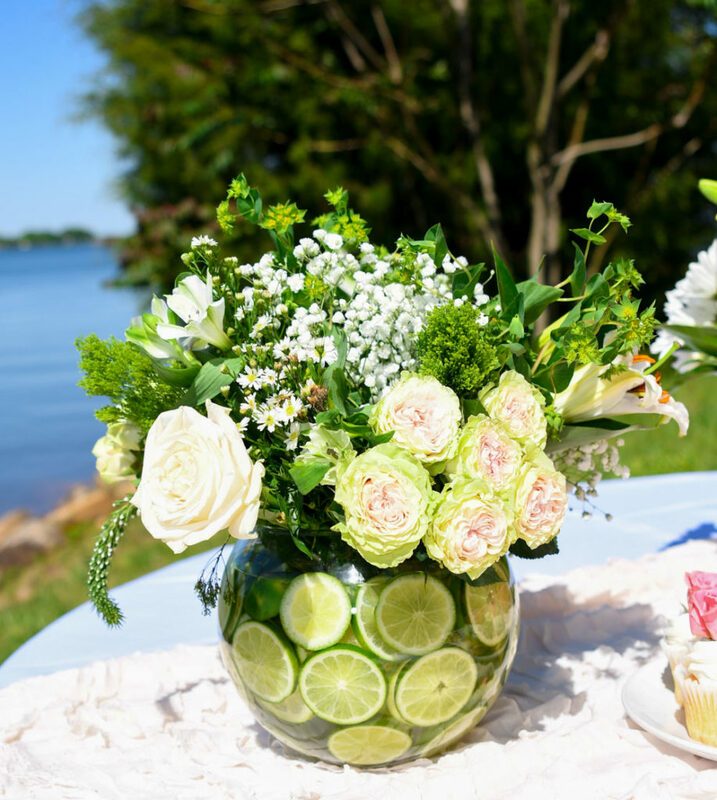 I absolutely love decorating with fresh flowers for parties and events – and the addition of the fruit in these arrangements just steps it up a notch. 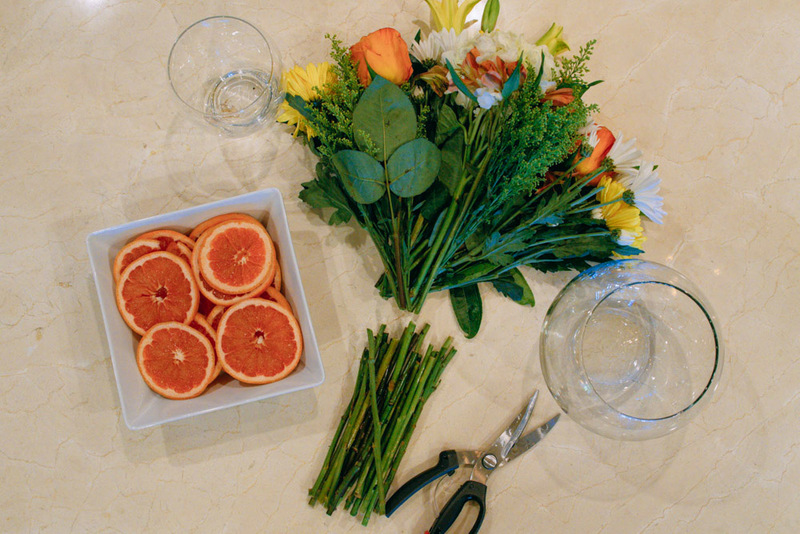 And would you believe each arrangement takes less than 10 minutes to make? I know! 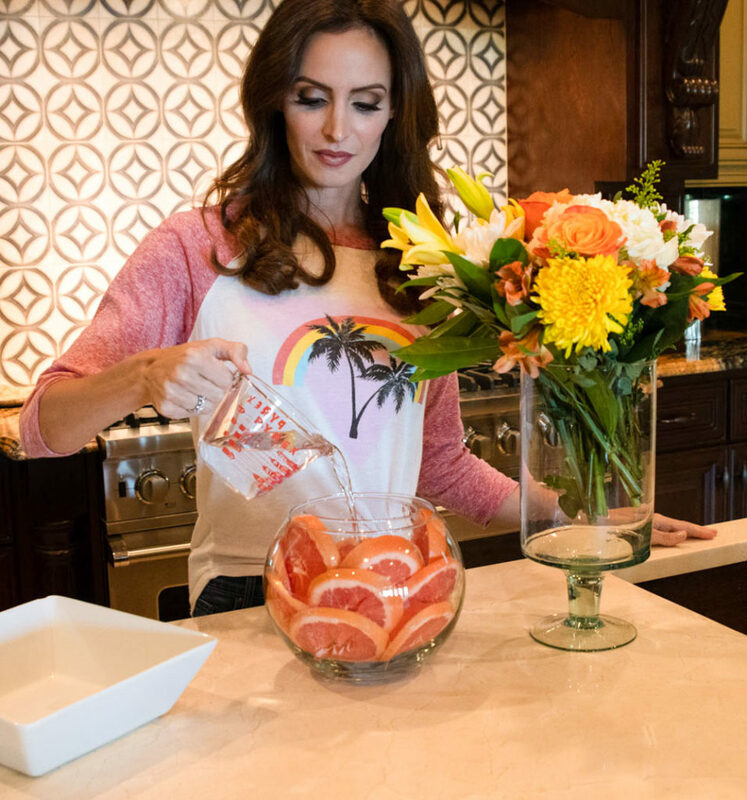 I chose to do three variations – lemons, limes and grapefruit. But if you were doing a wedding or a larger event, you could do them all the same for a cohesive look. One thing to note, you need more fruit than you might think. I used a whole 3-lb bag of lemons, like 12 limes and 4 grapefruit for each of these! 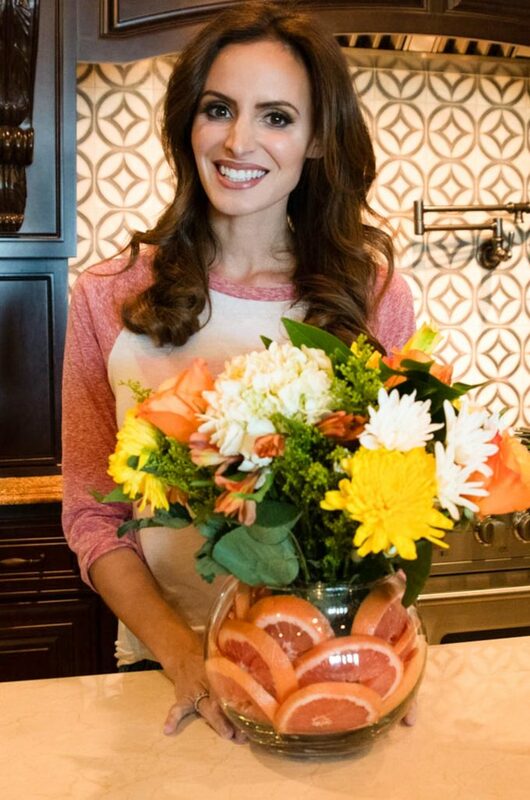 Bouquet of flowers – you’ll need 1 for each centerpiece, I got mine from the Publix produce section! 1. 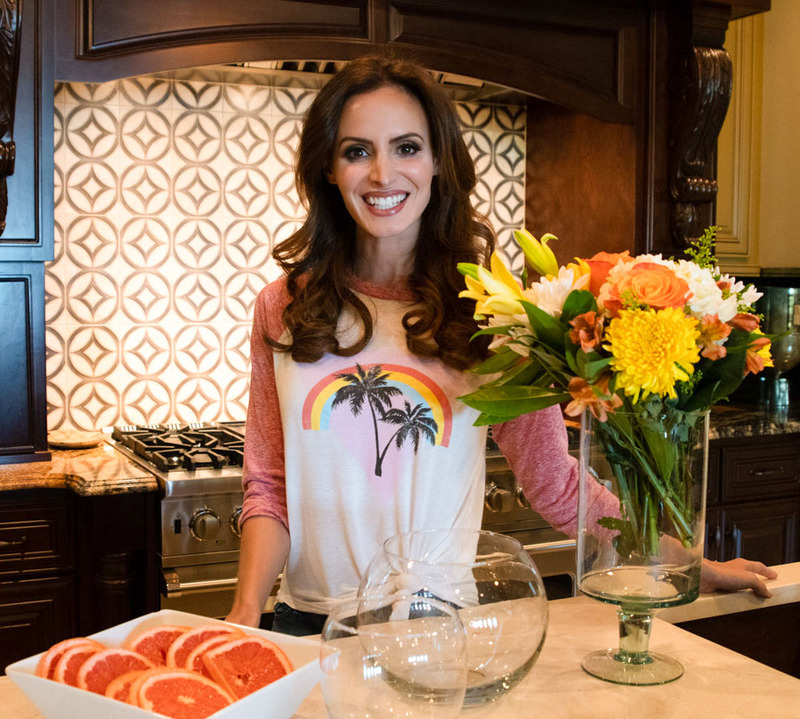 Slice the fruit into about ¼-inch slices. 2. 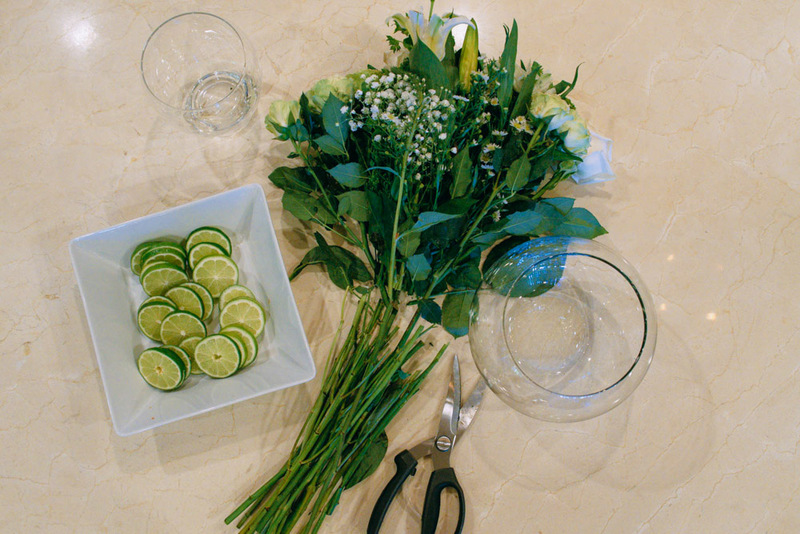 Trim the flower stems down to fit inside the smaller vase. 3. Place the smaller vase inside the large vase. 4. 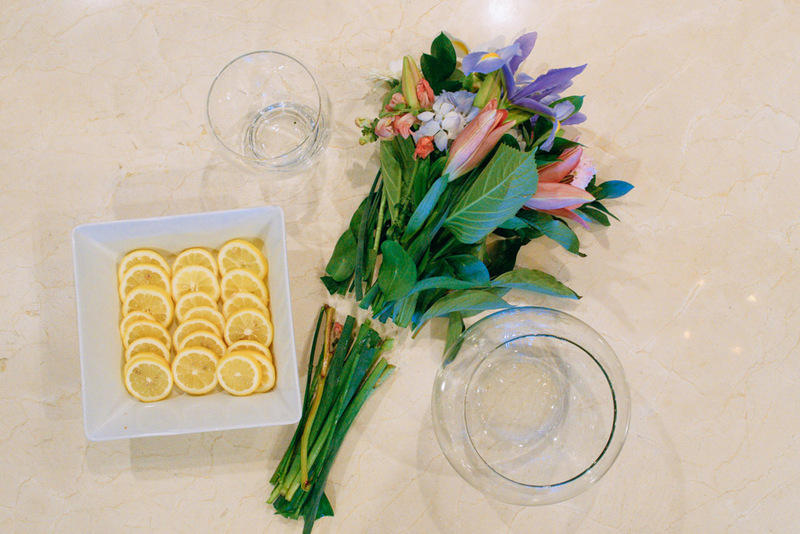 Slide the fruit slices in between the vases. 5. 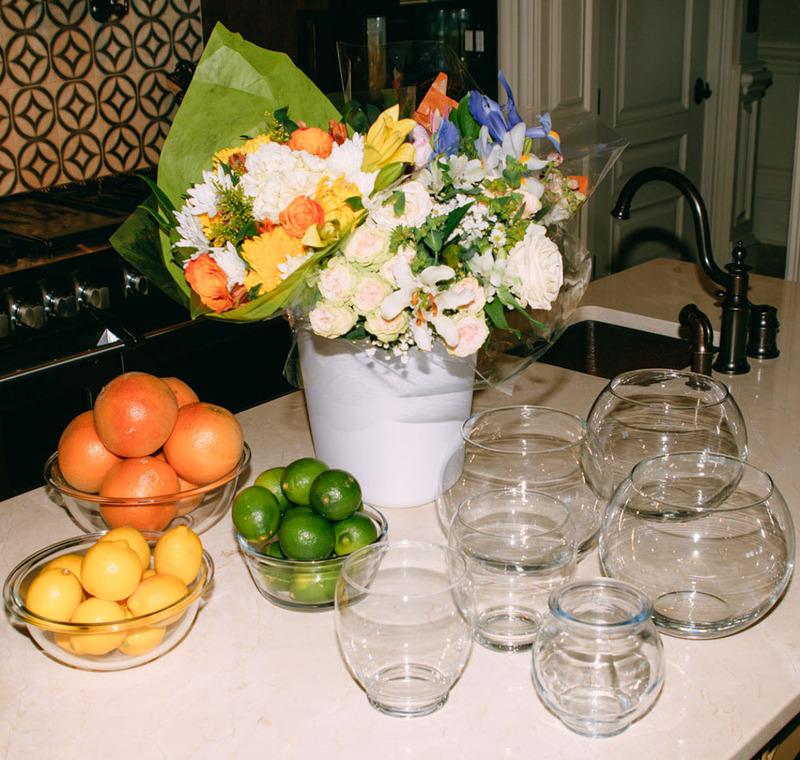 Fill the space between the vases with water. 6. Fill the small vase with water. 7. 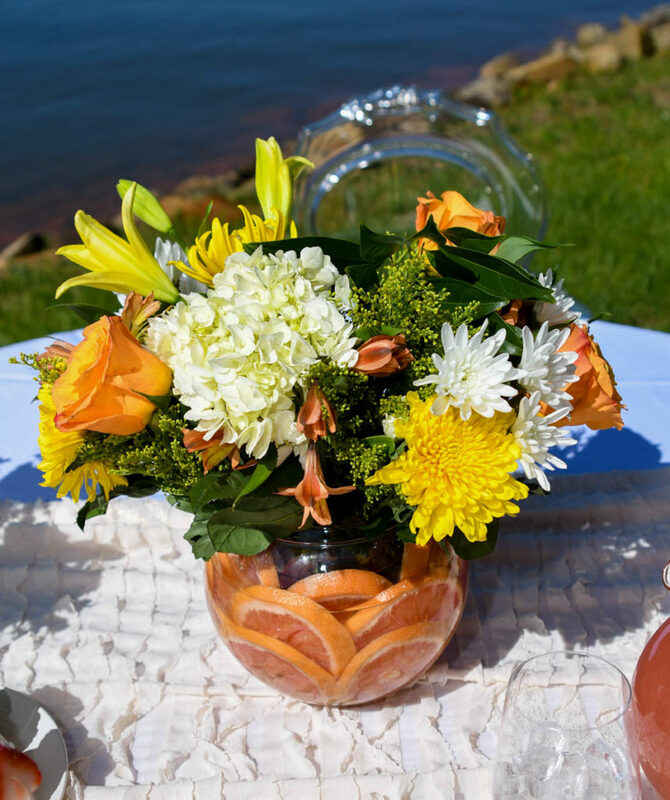 Place the bouquet into the smaller vase and arrange the flowers. That’s it! 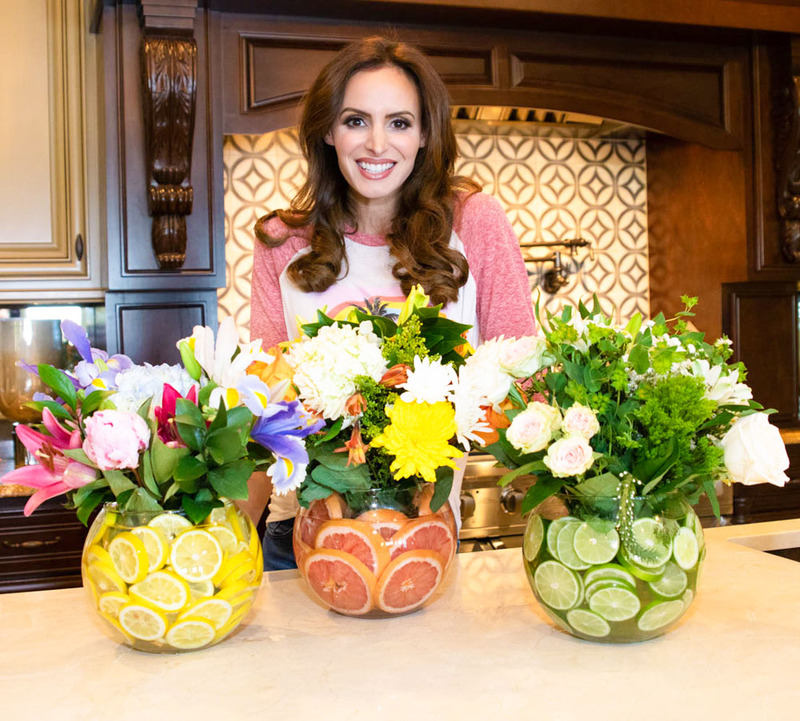 These are so easy and make such a statement – I plan on using these all summer for an easy and fresh décor piece even just around the house.